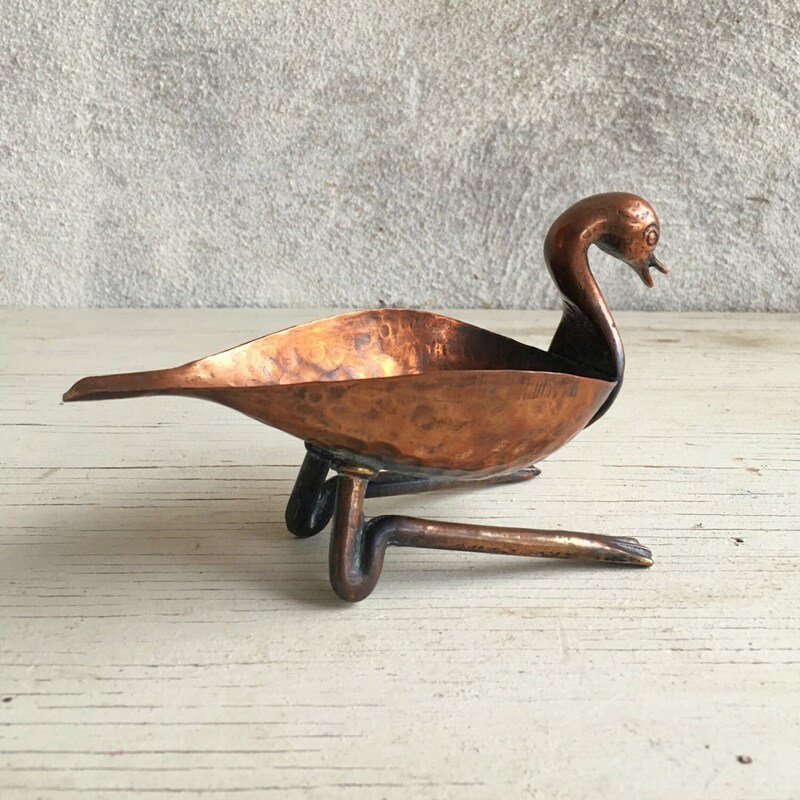 Here we have a modernist copper bird, possibly a swan with that beautifully curved neck, that was a popular design for ashtrays circa 1940s and 50s. 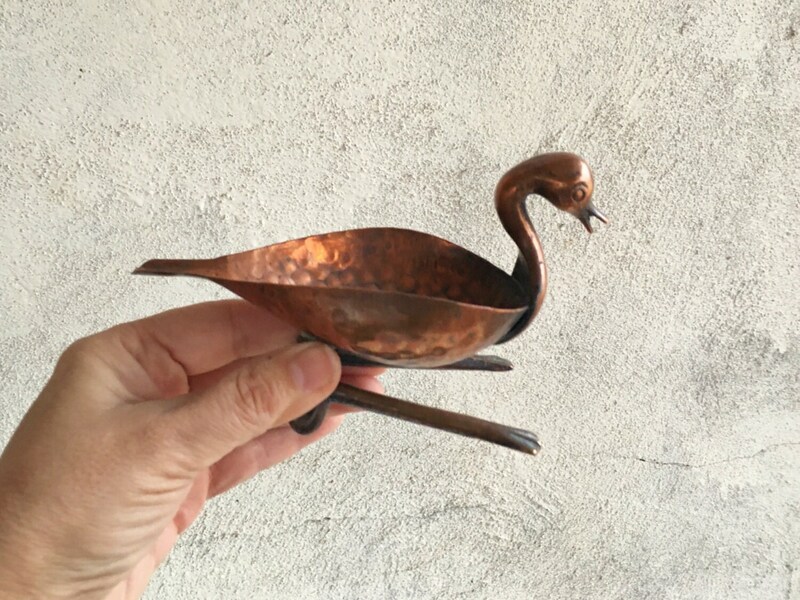 The style is somewhat reminiscent of Walter Bosse Hagenauer era bird ashtrays, and I've found several copper and brass bird ashtrays from Taxco, Mexico, in a similar style as the one offered here. 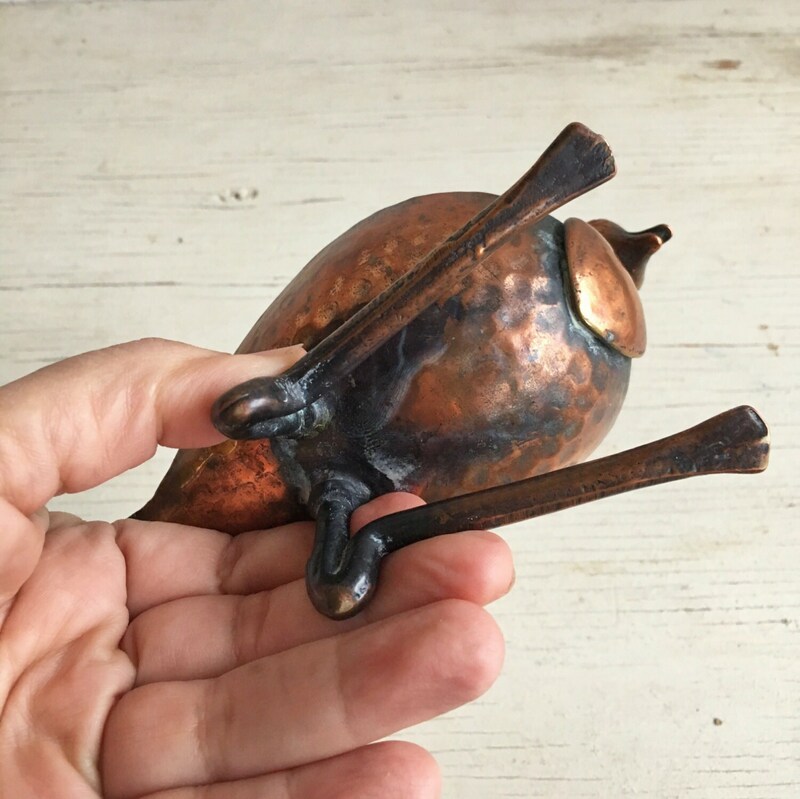 What I can tell you about this piece is that it's very well made, with a beautiful modernist curves and lines, a delightful face on the bird, and a deep and rich patina, especially on the neck of the bird, which you can tell has been touched over time. 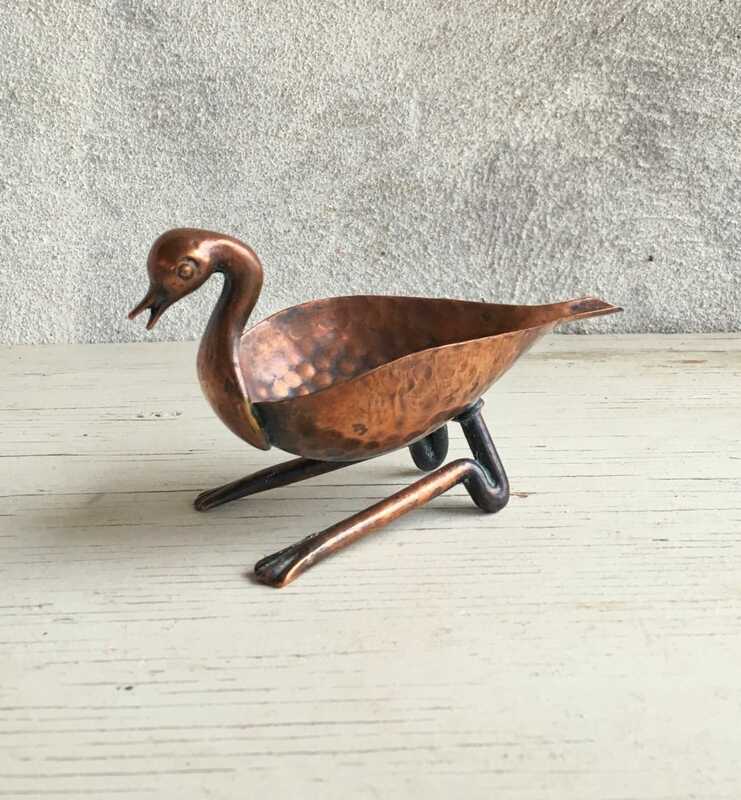 Would be perfect for the smoker with great taste in home decor, yes, but also a great piece to use as a trinket dish, or as a standalone statue. 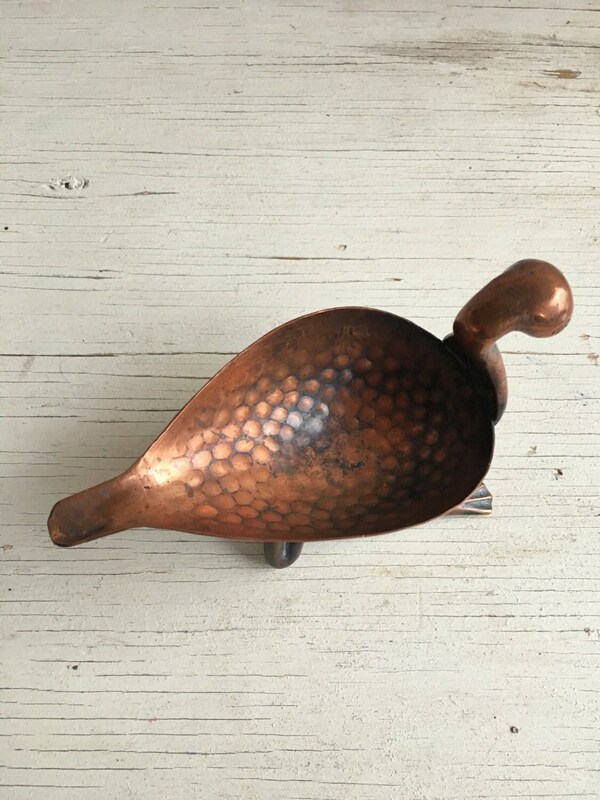 Measures just under 6" from the tip of the beak to the tip of the tail (cigarette holder) by just under 2-3/4" wide and stands about 3-1/4" tall. Some white tarnish in the crevices, which is common in aged copper. Otherwise in good vintage condition. Because back then even the act of smoking warranted beautiful art.